Not all leaders are visionaries. Some end up in the leadership role without a vision of the future. They focus on the day to day operations and what is right in front of them. That is a boss. But the real change makers are visionaries. They envision a world that is better and they see how their product or service impacts that world. Let’s define leadership. To be a leader, one must be able to influence others to accomplish a goal, or an objective. She contributes to the organization and cohesion of a group. She has the big picture of the future, the passion, the focus of the company. You have to get people to follow you. How is this accomplished? People follow others when they see a clear sense of purpose. People will only follow you if they see that you know where you are going. Remember that bumper sticker? The one that says, don’t follow me, I’m lost too? The same holds true for leadership. If you yourself do not know where you’re headed to, chances are people will not follow you at all. You yourself must know the vision of the organization. Being a leader is not about what you make others do. It’s about who you are, what you know, and what you do. Trust and confidence is built on good relationships, trustworthiness, and high ethics. Leaders are not do-it-all heroes. You should not claim to know everything, and you should not rely upon your skills alone. A visionary leader shares their vision of the future, inspires and empowers their staff to get on board and help drive the company to that vision. When you fail to share your vision, then your staff are working towards an unknown. Perhaps they are even taking your company in the WRONG direction. That comes back to YOU, needing to share your vision. Visioning is exciting. It is what pulls you into the future. It is was gives you purpose. The energy that a compelling vision creates is contagious and creates a flow that also drives the company forward. You see visionaries in the news and perhaps think — I cannot do that, but I challenge you to rethink your abilities. When you look at your core purpose and where you want to take your company, its impact on the world — locally, regionally and perhaps globally, all of those things come together into an inspiring story that you are putting into action and bringing forward into the world! It is exciting. So, what is your vision? What is your core purpose? What gets you out of bed every day? When you have these pieces put together — your company starts to move…. and it might move very fast!! Be a Visionary Leader — inspire, empower and succeed!! Strategic planning only helps organizations when they are kept active and implemented. The strategic plan defines the business direction. That direction is based on the future, the vision of the company. Before an effective strategic plan can be developed a clear and compelling vision is needed. Visions are optimistic, the ideal picture of the future. The strategic plan that results from the leadership team’s strategic planning, is the map to that vision and then it is only effective if it is implemented. Creating a powerful strategic plan is just one of the first steps. Many organizations have strategic plans that are well thought out and crafted. Where they fall short is in the implementation of that plan. Implementation is the key. If you fail to implement, the results will not be what you set out to achieve. 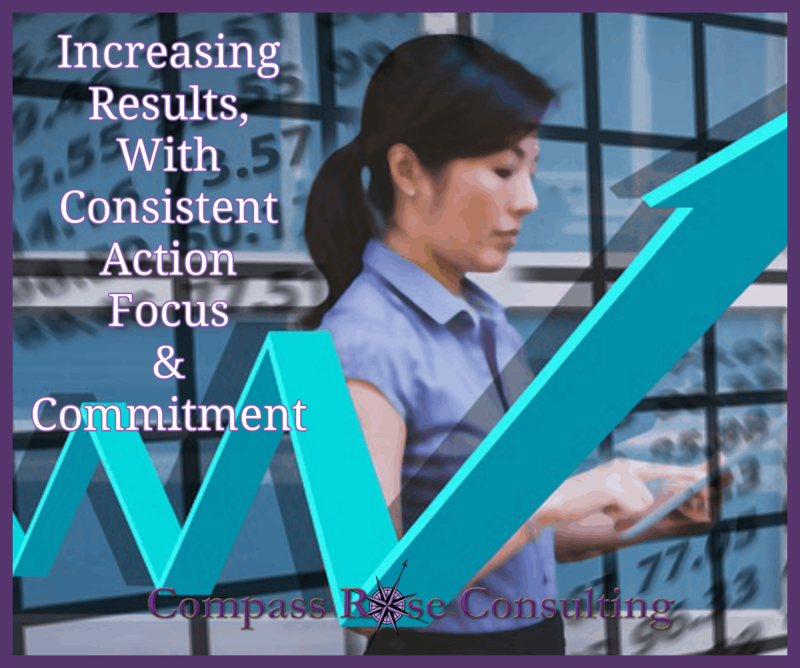 Strategic Planning Your Road Map To Success…. Strategic Planning – The Road Map That Guides You! Strategic planning only helps organizations when they are kept active and implemented. The strategic plan defines the business direction. That direction is based on the future, the vision of the company. Before an effective strategic plan can be developed a clear and compelling vision is needed. Visions are optimistic, the ideal picture of the future. The strategic plan that results from the leadership team’s strategic planning, is the map to that vision and then it is only effective if it is implemented. to many small business owners. The most effective strategic plans are those that are simple, completed with the leadership team and key people in the company. Complex documents that consume excessive amounts of time to create don’t guarantee success. In fact, the large and cumbersome strategic plan can be so overwhelming that it just doesn’t work. Strategic planning sessions that go on and on for months also fail because so much time is consumed in the planning and the implementation, which is the key, is pushed aside. The goal to have the perfect strategic plan doesn’t produce results. Instead, the team that engages in strategic planning and produces a good working document is more likely to succeed. Undercover Boss — What Could You Learn? What Can You Learn From Your Staff? The new season of Undercover Boss premiers this Sunday. When the show first started I didn’t watch… seemed goofy. Then I caught an episode and was impressed. Granted it is TV. But there are real lessons there. Each time I am able to watch — I learn something. I see what could be learned by business leaders IF they were connecting with their front line staff. It really is about “walking the floor”, so to speak. Being in touch and really communicating. Frontline staff KNOW what is happening within your organization. They know what works and they are frustrated by what doesn’t work. Often they are more frustrated that their input is not asked for or taken seriously. Frontline staff can most often save organizations thousands of dollars… and in big companies probably millions. In one episode the boss learned that the online reservation software didn’t communicate with the front desk software. Customers that had made their reservation online had to wait up to a half hour to checkin while desk staff worked on getting the online information and inputting into their front desk software. Now, I know you can see some problems here — customers are frustrated; staff are frustrated and efficiency is totally undermined. Fixing this problem — improves the flow of checkin, saves tremendous time, makes customers happier and front desk staff are smiling. That is just good for business! So, how can you get this information if you aren’t one of the chosen to be on Undercover Boss? 1. Create a safe environment for staff to give you input. It is valuable information. Creative, learning organizations should always be evaluating how they operate and do business to improve. If staff feel threatened if they give feedback then you will never hear it. 2. Get your head out of it: Some organizations have leaders that have so much EGO in the game that they cannot hear anything from staff. This is extremely detrimental the overall operation of the organization. Staffs have such valuable information. They have great ideas on how to streamline operations. They see what is coming down the pike and can be helpful in planning or project management. And most often they are also very loyal — even when they are treated poorly — not appreciated — and not empowered. How Would Your Organization Change? If you empowered people? If you asked for input and took it? If leaders weren’t control freaks? 3. Empower your staff to be leaders. Many organizations are seeing incredible results when staff are empowered to take personal responsibility for their job. 4. Talk to people. Walk the floor. Let people know who you are. Listen more than talk and hear what their ideas are and give them credit for them. DO NOT be so small that you take ideas and credit. Your staff will continuously improve your operations when you value their input and opinions. Being a leader is challenging, no doubt. But being a leader that stands all alone and doesn’t include a team creates an environment that will not produce the results that he/she is truly going for! Today we discussed bullies at work, whether they are staff members, managers or leaders themselves, the bullying behavior needs to be addressed. Follow Up Regularly and Consistently. Bullying cannot be tolerated in the workplace. If you are the leader, you need to create strategies to address bullying behavior. Do you have employees that are out and out fighting with each other at work? Yelling, screaming, not getting along or perhaps has difficult relationships with their supervisor? Decreased productivity due to the emotions involved in interpersonal conflict. The root of many conflicts is communication: either unclear communication, resulting in misunderstandings. One strategy to address rising incidents of conflict is communication training. Teaching people how to listen and how to talk clearly can prevent and decrease conflicts. Communication is such a challenge. So often, we feel we have been really clear, only to find out that the other person really misunderstood us. Being a clear communicator takes commitment. You need to be able to talk in a neutral sort of way, eliminating inflammatory emotions. Speak from the heart and listen from the heart are good basic guidelines. Beyond the basics, are to listen deeply to what the other person is saying and then to check-in with them. Ask them: “is this what you are saying?” It lets the person you are talking with know what you have understood and gives them the opportunity to clarify or correct misunderstandings. What do you do when the conflicts have escalated? Resolving conflicts are good for everyone involved, but sometimes it’s hard to see that in the moment for the people directly in conflict. As mentioned earlier, conflict is costly. Sometimes as the owner, or manager we forget that there is a great cost to us but also to the employee. Changing jobs due to a conflict means a great deal of change for an employee. They might not be able to get the same level of pay; benefits; shifts, etc that they are accustomed to. The impact to the employee and their family can be high. As the leader you can set-up an effective environment to resolve the dispute by following some simple steps and laying out a couple of guidelines. First, spend time talking with each person involved. Let them know that your belief is that developing a shared solution is important to each person and that you value each of the employees involved. During the individual meetings you can begin to gather information about what they see as the possible solutions. Let the employees know that your intent is to meet with each of them and then with them together, to talk about their perspective and possible solutions to the conflict. Come in with an open mind, open to the possible solutions and be willing to compromise. Give each person an opportunity to tell their story, from their perspective. Remind the other people involved that we are each listening, listening to each person’s perspective. 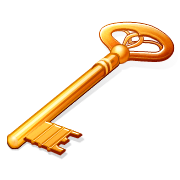 This is a key. After everyone has had an opportunity to tell their story, brainstorm possible solutions. Again, this isn’t a time to judge. Whenever you are brainstorming you want all the ideas, good or bad, or out in left field. One of them might be the idea that helps someone come up with the BEST solution. Identify the solutions that work for each party. Ifs important that the solution is agreeable to each party and the company. In order for the agreed upon solution to work and be successful, you need buy in. Agree to do the solution. The last step is the key to moving forward. Don’t take sides. As the manager your interest is the company, the resolution of the conflict and each employee. Don’t mandate a solution; you want the staff invested in the solution. What do you do if staffs refuse to participate in conflict resolution? Offering staffs the opportunity to resolve conflict is a much better option than being disciplined, having supervisor mandated solutions or taking no action at all. When staffs refuse to cooperate or participate, its time to talk with them about your company policies, their personal responsibility for their behavior and actions and your responsibility as the owner or manager to take actions based on their behavior. The intent of this type of conversation isn’t to threaten disciplinary action, but to talk about the reality of the situation and the need to resolve it. Each individual makes choices, as supervisors our actions are based upon the behaviors and actions of the employee. As the supervisor you are encouraging good choice making, but the reality is that some people will make a poor choice and choose to continue to act in ways that are not acceptable in your workplace. In these situations you must then follow your organizations policies as outlined for your employees in the employee handbook. Resolving the conflict and creating a good work environment for everyone is my first choice as the manager/supervisor/owner. Conflicts in the workplace can be successfully resolved, by listening. Giving each person space to tell their story validates them and communicates to them their value to you and the organization. Using the simple process outlined keeps you moving in a positive direction. What are the challenges that you face at work? Tune into to Leadership Navigator Radio! The Olympics have ended and athletes have returned home with medals, stories and memories. We watched many, many hours of the Olympics and enjoyed seeing the many young athletes compete with true grace. It was amazing to see the poise and sportsmanship that was demonstrated day after day. I don’t think of myself as athletic, yet I’ve accomplished some incredible things. I’ve cycled across the country, run a marathon and a half marathon and many shorter races, and kayaked, climbed… but never competitively. At least not in my mind…I don’t think “athletic”. We had many discussions throughout the Olympics about winning… Athletes that cried on the podium when they won Silver or Bronze because they wanted Gold. And what of the athletes that didn’t make it to the podium? The marathon I ran was the Warwick Marathon. I had planned to run a half marathon that day and was using it as part of a training plan run. I reached the 15 mile mark and kept going. By the 18 mile mark there were people on the sidelines saying just 6 more miles, and my mind kicked in, saying — ‘you can do this, you can run the whole thing, you’re almost there’. Well, 6 miles is far, it took alot of self talk and I finally crossed the finish line. The crowds were gone, in fact most of the people were gone. But I finished. I was the last runner (walker) to cross the finish line. The race folks cheered, they gave me a medal and now MANY years later, I still have that medal. I could have felt bad. I came in last. BUT, I know that I came in before all of the people that quit that day and there were many that didn’t finish. I know that I have a medal that says I ran a marathon — that’s 26.2 miles and there are many people that have never and will never do that. I did. Celebrating accomplishments is so important. And it was sad to see OLYMPIANS crying when they accomplished SO much. They are Olympians and most of us CANNOT say that!! At our house, we think they should each receive a medal that says “Olympian 2012” because that is an incredible accomplishment and a memory to treasure forever. Everyone would walk around with medals and celebrate each other. And yes, there would still be a few wearing Gold, or Silver or Bronze and we would still all celebrate their great performance. I don’t know if I will ever run another marathon but I am glad that I did. I know that I can accomplish great things and that I have a powerful mind that can overcome great obstacles. There is learning in accomplishments. I hope that each Olympian treasures their incredible accomplishment and celebrates it! LADDER is an acronym for “Leadership & Development for Dynamic Economic Renewal”. Compass Rose Consulting is proud to be a sponsor of the LADDER Summit. Donna Price is also honored to be the facilitator and MC of the day. The Summit is hosting many distinguished guests including: Dr. Chief Loren Ho Hep Ya Sekayumptewa (from the Hopi Nation, Dr. Loren has not spoken at an area chamber ever. This is a once in a lifetime opportunity.) Gautam Jain esteemed leadership consultant. John T Baier Managing Partner- New York Life Insurance Company, Carl Gould, author, speaker and small business expert and many other experts that will participate on the different expert panels. Join the LADDER Summit on June 1st with Donna Price. From here you are invited to click the member’s rate. Take a six-foot tall adopted elf named Buddy (played by Will Ferrell) who wants to find his birth father, make that father the prickly James Caan, and throw them together in the midst of New York City and see what happens. Buddy wants a warm and cuddly family reunion; his father Walter wants nothing more than to make this new-found son disappear, preferably with a pair of cement boots on him. Ah, but this is Christmas, so not only does Buddy convince his new family that syrup tastes good on everything; he also wins the heart of his stepmother, half-brother, and the cynical Jovie, his new love. And yes, Walter eventually sees the light. So… what if you’re not Santa? Buddy would tell you it doesn’t matter. Enthusiasm is catching. No one is going to be more excited about your business, your product, your podcast, your class, your blog than you are. Be enthusiastic with your staff, your vendors and your customers. You MUST BELIEVE. If you don’t BELIEVE how can anyone else? Sometimes we feel a little hesitant to show our enthusiasm. It can be risky to show how much we care about something. But if we don’t show our passion, we’re not going to convince anyone else to follow or act on our recommendations. We’ve even been trained to not brag, not show off and so those types of behaviors often feel uncomfortable. Overcome it. Jump out of your comfort zone and share proudly with enthusiasm your business. Your excitement will be contagious. Think about the last time you went out to eat. If the waiter or waitress gave a lackluster endorsement to the daily special, you likely took a pass. But if she or he said, “I just tried it before my shift and it was delicious!” you’d be a little more likely to partake. Enthusiasm sells. Period. Be honest. Don’t sell or promote something you don’t believe in. It never works – people can tell, and you’ll damage your reputation. BELIEVE. Be yourself. You may be the understated type who isn’t going to jump out of a helicopter a la Richard Branson to promote your latest business venture. You don’t have to be! (One Richard Branson is enough for this world.) But do show your energy in a way that is natural for you, and push your comfort zone a bit. Be realistic. If you promote every new thing that comes down the block, or have a new solution du jour, pretty soon no one is going to listen to you. You don’t have to dress up in pointy shoes to get people to buy your new ??????. But hey… if the shoe fits… why not? At the minimum, don’t promote things you aren’t passionate about yourself. Don’t sell the broken down “used car”. Sell yourself, your own enthusiasm and passion for your product and service, and sell your belief. Keep watching for more lessons from the movies for businesses and leaders. Join the conversation and leave your comments. Become a contributor and include a full business/leadership related article. The holidays are a great time for leaders to stand out and shine. There are many opportunities to be a guiding light, to demonstrate your company values and aspirations. What are the ways that you have taken the lead during the holidays? Not a holiday party but real leadership of holiday spirit. Share your stories and let me know the impact it has had on your team and workplace. Does your workplace do special outreach? Support community programs? Support staff in community leadership during the holidays? How do you demonstrate your leadership at this special time of year?